The process leading up to a vote on the proposed $1 billion sale of the Municipal Light & Power utility to the Chugach Electric Association gets curiouser and curiouser, setting off alarms among those who get fidgety when government seemingly greases the skids to get what it wants. Whether such a sale would be good for Anchorage remains to be seen, but there is no reason this city should have more than one electric utility operating within its borders. What is debatable and more than a little sketchy is how the proposed sale is being handled. 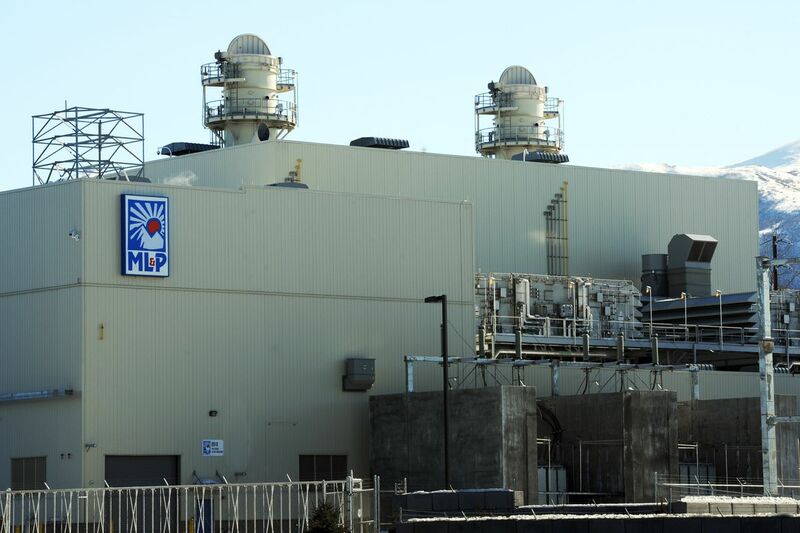 Except for a blizzard of recent "win-win" puffery, the process to sell this valuable, publicly owned asset has been shrouded in secrecy since the Assembly urged the two utilities to talk in June. The city's ML&P Commission was even kept in the dark until the day before Mayor Ethan Berkowitz announced the proposed sale in December. The commission's chief rightly resigned in protest of the lack of transparency. Voters locked out of the process are being asked to authorize city negotiations for a sale by year's end. With ML&P being owned by Anchorage residents and Chugach being an electrical co-op owned by its members, we are being asked to sell our ML&P to ourselves with our Assembly members gagged by lawyers – except to assure us it is a good deal. More vexing is the sleight of hand being used to dodge the city charter's voter approval requirement for utility sales. The charter clearly lays out how utilities can be sold and directs that such sales are subject to three-fifths majority approval by voters. When the Anchorage Telephone Utility was sold in 1998, voters approved, 62.5 percent to 37.4 percent, after defeating such proposals in 1989 and 1991. Why reduce the percentage now? Successful 60 percent votes in Anchorage are as scarce as daisies in February. Sales tax proposals requiring a supermajority, for instance, have cropped up repeatedly over the years only to be mowed down by a cranky electorate. Knowing that, the Assembly, on the upcoming ballot added to the sale ordinance a one-time-only provision allowing "a majority of qualified voters" to authorize the ML&P sale, neatly skirting the 60 percent requirement. "We didn't do an end-run around the charter," says Municipal Manager Bill Falsey. "We did something different." That laughably does not begin to pass the red face test. An end-run smacking of a Green Bay Packers power sweep is exactly what the city is doing, but Falsey defended the 50 percent stipulation, arguing the state constitution allows it and a minority of voters should not be allowed to deny the majority's will. You have to wonder why the city even bothers with a charter if it can be changed like a pair of socks to permit this political whim or that utility sale. Nonetheless, if a simple majority approves, the Assembly could sell ML&P to Chugach, within the parameters and stipulations of the sale ordinance already approved 11-1 by the Assembly on Jan. 23. Assemblyman Fred Dyson was the lone no vote. A sale supporter, he says his vote was "symbolic," a protest; that he felt such a huge sale should require more than a simple majority. He is absolutely right. Presumably, if the measure passes and the sale process proceeds — and before anybody signs anything — there will be public hearings, negotiations, due diligence and all that, with the public clued in each step of the way. Perhaps somebody would even clue us in on how it would work. So far, the process has been as transparent as a brick wall. There was no bidding process, no requests for proposals. It turns out five other potential buyers — utilities in Fairbanks, Juneau and the Mat-Su, an energy subsidiary of an Alaska Native corporation and a New York financial firm — wrote letters of interest to Berkowitz late last year indicating their interest in buying ML&P. They were left holding the bag. We know all that only because the Anchorage Daily News pried it loose with a public records request. Anchorage officials had, by then, been talking of a sale to Chugach for weeks. That leaves lingering doubts among those who wonder what else the city is not telling us and perhaps are a little leery whenever government decides to pursue what is "best" for us while silencing our representatives. Secrecy in government is worrisome and dangerous and itchy, no matter the grand reason. The proposed sale, which at best smacks of rank favoritism, may be the best thing since peanut butter for the city — or not — but we do not really know. With apologies to Nancy Pelosi, we may have to sell ML&P to know whether we got a good deal.